We&apos;ve been missing Art Laboe&apos;s silky-smooth voice and his selection of old school jams ever since the R&B radio station that hosted his show, HOT 92.3, switched formats and became a hip-hop station in February. However, you can dry up those tears as the iconic radio host has found a new L.A. radio home—at 93.5 KDAY. 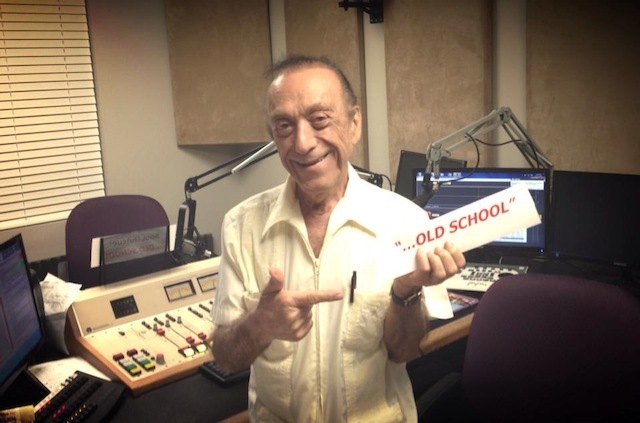 KDAY&apos;s website prominently features a note on its homepage that the "Art Laboe Connection" will be on Sundays from 6 p.m. to midnight. When we contacted the station, they told us that his show would premiere on June 7. Laboe has recently been posting on Twitter that he&apos;ll be returning to L.A. radio soon. Up until now, the closest Los Angeles station we could listen to Laboe&apos;s syndicated show—one where people oftentimes called in to make song dedications to their loved ones—was in Oxnard on Old School 95.9 FM. The 89-year-old host had been connected to HOT 92.3 and its predecessor Jammin Oldies 100.3 FM since 1997.